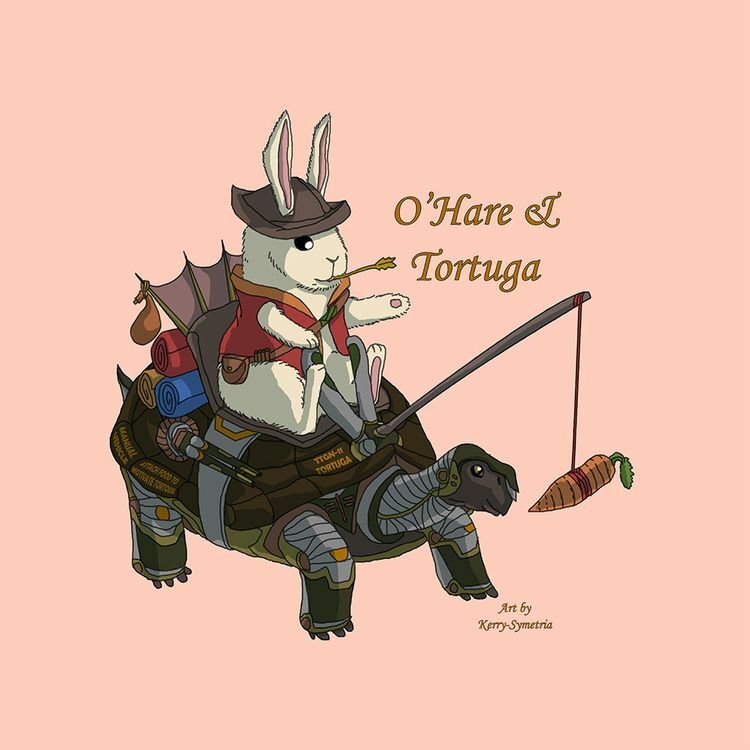 O'Hare & Tortuga - An illustration by Kerry-Symetria based of "the Hare and the Tortoise" in Aesop's Fables. In this artwork they are buddies, O'Hare is a merchant while his buddy Tortuga is a cyborg tortoise with enhanced speed. - Now, who says the lesson "Slow & Stead wins the race"? Nowadays with tech things are done much faster, and its called Effectiveness.